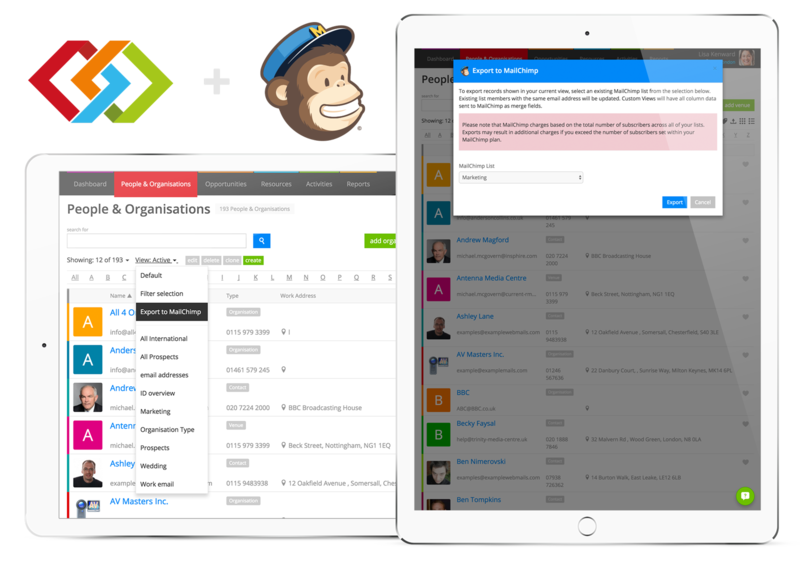 Use our MailChimp integration to export contacts, organizations, and venues from People & Organizations to MailChimp lists. MailChimp is a popular email automation solution, letting you create email newsletters and targeted marketing campaigns for customers and prospects. Find out more or try MailChimp. Our MailChimp integration is simple and straightforward. Just head to People & Organizations and filter the view as you’d like. When you’re ready, just choose Export to MailChimp from the Filter menu. Do I need the integration with MailChimp? You don’t need to use MailChimp to use Current RMS. MailChimp is for email marketing and you can use the CRM functionality in Current without integrating.